Fury Water Adventures is Key West’s one-stop shop for all things adventure sports. With snorkeling, parasailing, jet-skis and kayaking, Fury Water Adventures is no slouch. If you’ve got a lot of energy, try the “Ultimate Adventure” package for the best of Fury’s attractions all in one day. For the more laid-back types, there’s Fury Watersports famous “Commotion on the Ocean,” a catamaran trip through the Key West harbor with live music, drinks and food and the gorgeous Key West sunset in the background. 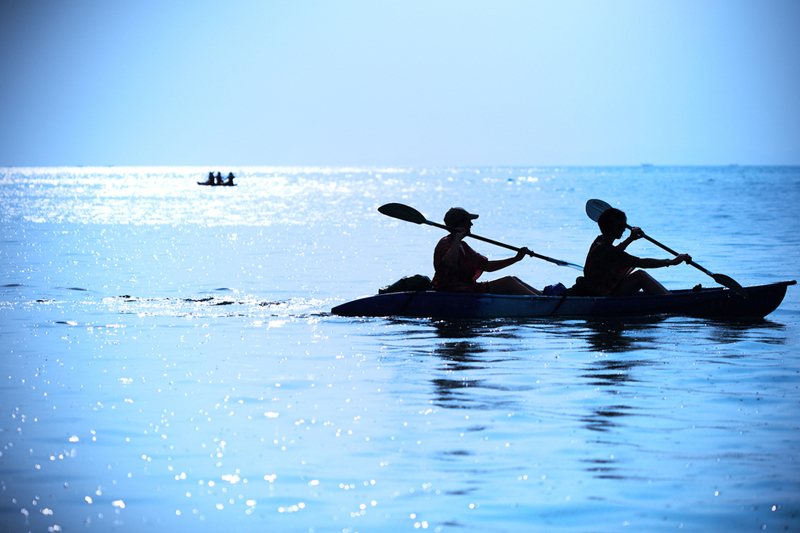 For calling themselves Lazy Dog, this outdoor adventure company offers quite a bit of activities – the most popular being kayaking, snorkeling and paddle boarding. Paddle through the mangrove islands and discover marine life up close in one of Lazy Dog’s guided tours through the Key West back country. From sea stars and jelly fish to sting rays and even sharks, there’s no telling what you’ll see. Dolphins are some of the most intelligent and playful mammals on the planet. Luckily for us, many live in the waters surrounding Key West. We especially like to see them in their natural habitat- swimming, jumping, playing and even feeding in the Key West waters. Book a tour with Fury Water Adventures to see them, as is. Unlike other tourist attractions, Fury Water Adventures has the Dolphin SMART certification, which promotes responsible dolphin viewing and interaction, making this outdoor activity one that won’t weigh on your conscience. You haven’t seen Key West until you’ve seen Key West from the sky. Key West helicopter tours allow you to see Key West in its stunning blue-green and turquoise entirety. Whether you’re wanting to see Key West’s landmarks from a different angle or take in the breathtaking views of the archipelago, helicopter tours make for the perfect outing. Choose from eco tours, island tours and the especially stunning sunset tours.